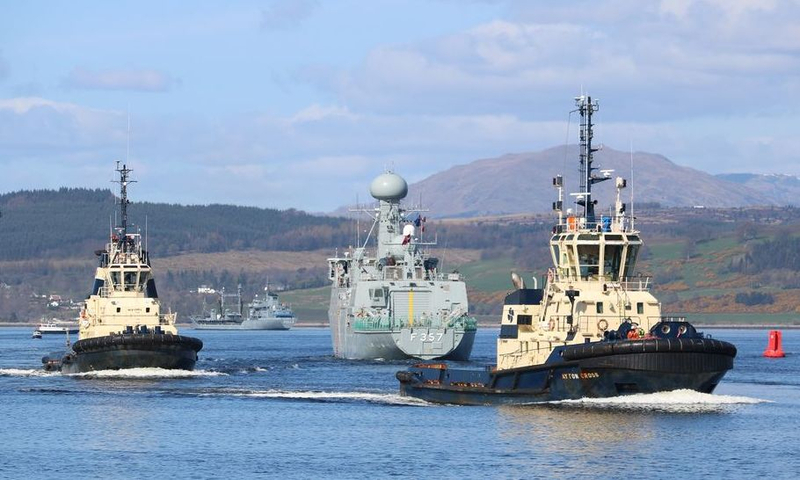 The 2019 "JOINT WARRIOR" naval exercises involving navy vessels from many nations is now underway (April) with the assembled ship's on the river Clyde departing to the open sea exercise area's. I managed to catch some of the participants as they left after they'd had a few day's of preparations and some leisure time for the crews. First past was the Norwegian Navy frigate "Thor Heyerdahl" F314. Commissioned in 2011 she is capable of 27 knots. and following close behind was the Danish frigate "Peter Willenmoes" F362. Bristling with technology, a range of up to 10,700 miles and with a turn of speed of 30 knots she is a formidable air defence vessel. The US navy was well represented with 3 Arleigh Class destroyers, all capable of more than 30 knots. and from Spain the frigate "Almirante Juan de Borbon" F102 an air defence vessel built at a cost of 600 million euro. At Faslane base the Royal Navy's amphibious transport warship "Albion" L14 was moored alongside. Built at Barrow in Furness and launched in 2001 she as a range of 8000 miles and has a 19,000 ton displacement weight. Similar to "Berlin" is "Rhone" A1443 also a German replenishment tanker. 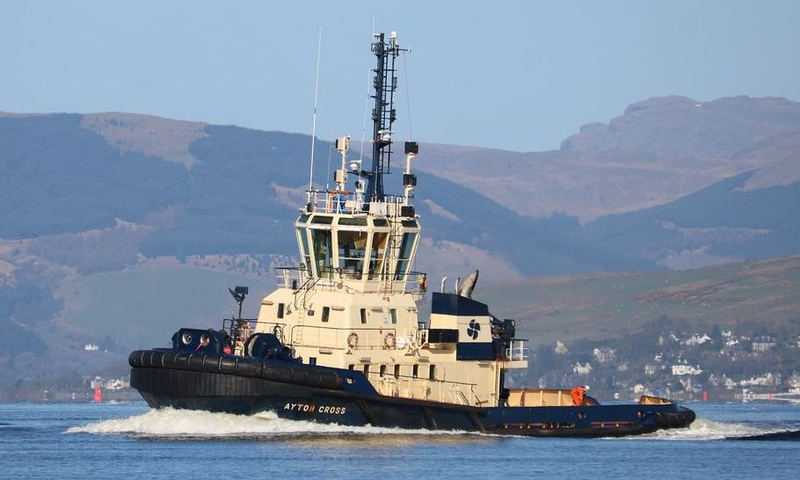 tug "Ayton Cross", finished one job and onto the next. following on behind was the Danish frigate "Thetis" F357 lead ship of its class. It has a double skinned hull designed for use in ice conditions. The Royal Navy mine countermeasures vessel "Cattistock" M31 one of only 6 remaining out of the original 13 Hunt class ships. "Cattistock" was built in 1982 and is one of the oldest ships still in service with the Royal Navy. Another mine hunter followed this one the Norwegian "Hinnoy" M343, unusual in the fact that it has both diesel and water jet powered engines. and finally, tugs "Ayton Cross" and "Anglegarth" head for base as the warships that required a tug have been assisted on their way.